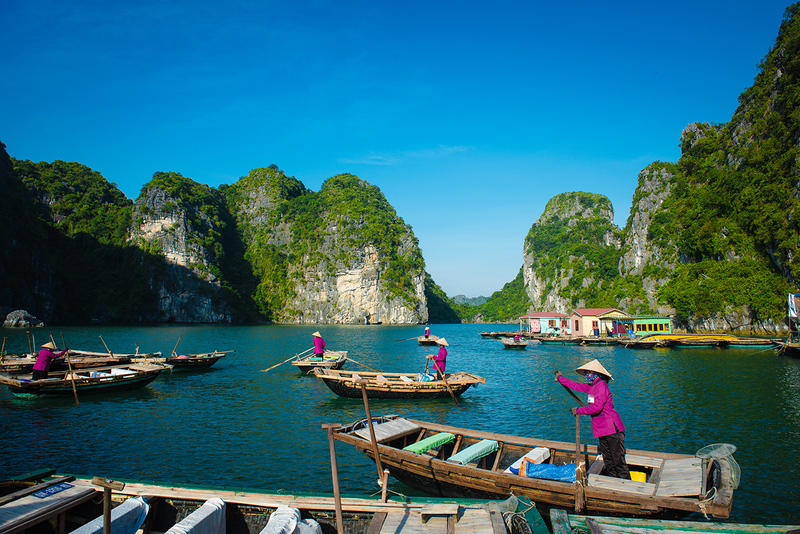 You will be really excited for your first time in Vietnam because of many incredible things which are waiting for you. Vietnam has come across many difficulties and adversities with wars to be independent in the past. 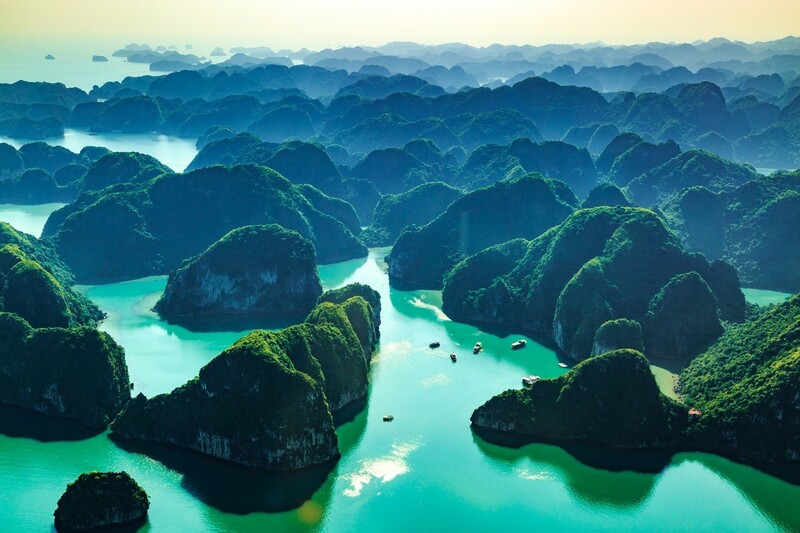 Vietnam has gradually developed and stepped out to the world with many individual characteristics about natural landscapes, local cuisines and historical cultures which were really attractive. It is for those who have passion with exploration and adventures. 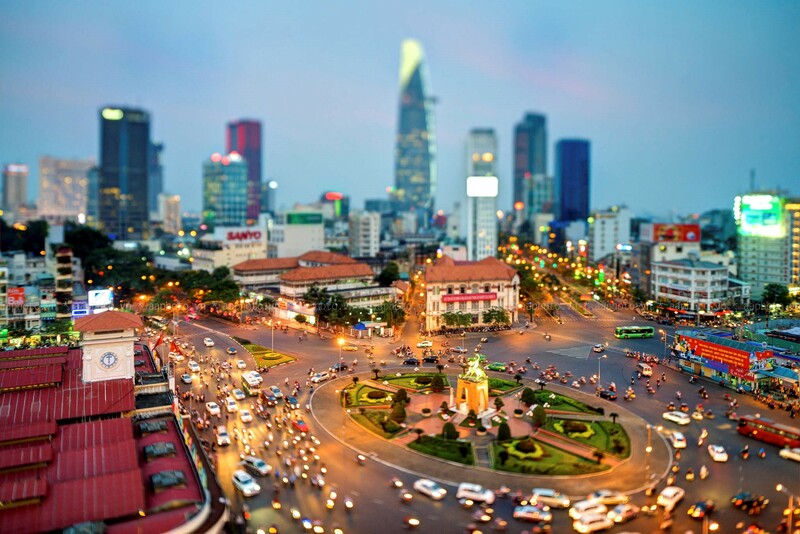 And Ho Chi Minh city – as known Sai Gon, would be an amazing destination that you should give a visit. 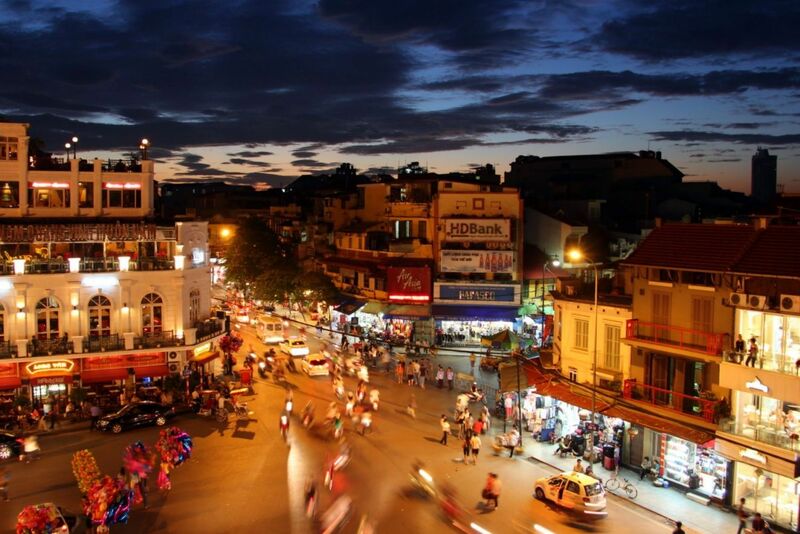 This place is not only for local people, but also for many people who come from everywhere in Vietnam. That is the reason why the diversity of cultures is a special point of Sai Gon. 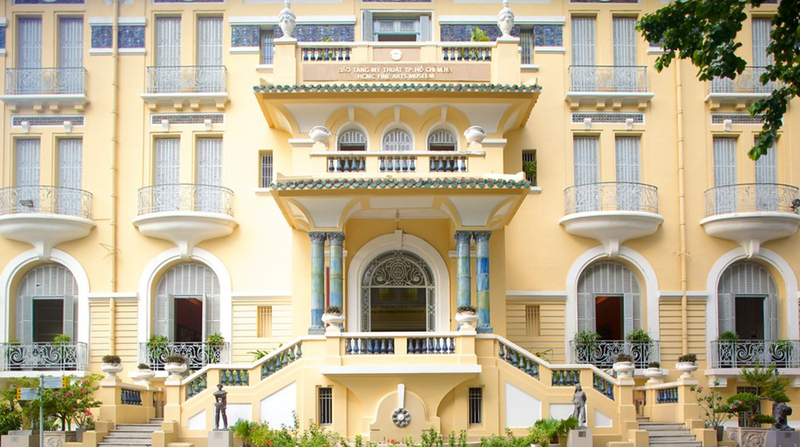 Here, you will be excited and energetic to be dived in the cuisine world and the cultural history of Sai Gon from past to present. Why Ho Chi Minh city? The city of busy, noise, everywhere has people, you won’t feel bored while you spend your whole day on walking every street and alley. It is normally busy but at times, there is also a peaceful Sai Gon in another special perspective. The city of motorcycle, everywhere has motorcycle. There will be a little scary while sitting on a scooter and drive by yourself. 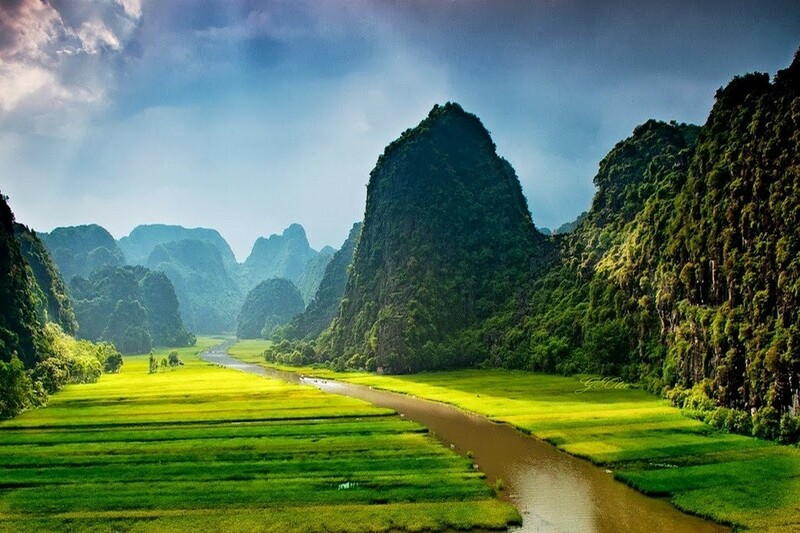 But if you are used to driving motorbike, this experience would be your interesting and unforgettable time in Vietnam. 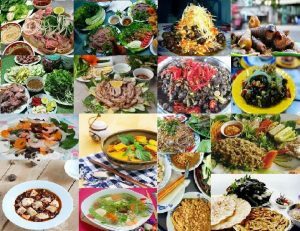 The city of cultural and cuisine diversity which come from many different regions in Vietnam. 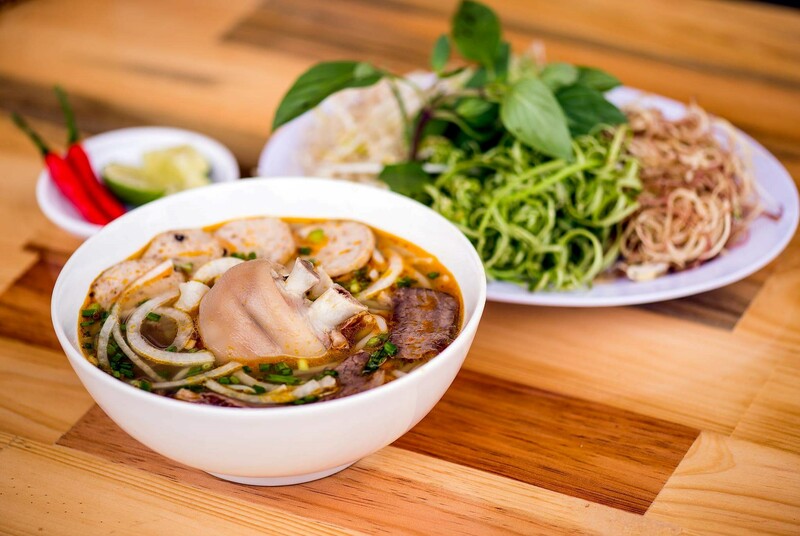 You come to Sai Gon not only to explore Sai Gon, but also discover street foods and regional cultures around Vietnam in Sai Gon. How to go to Sai Gon? Sai Gon is in the southern central. 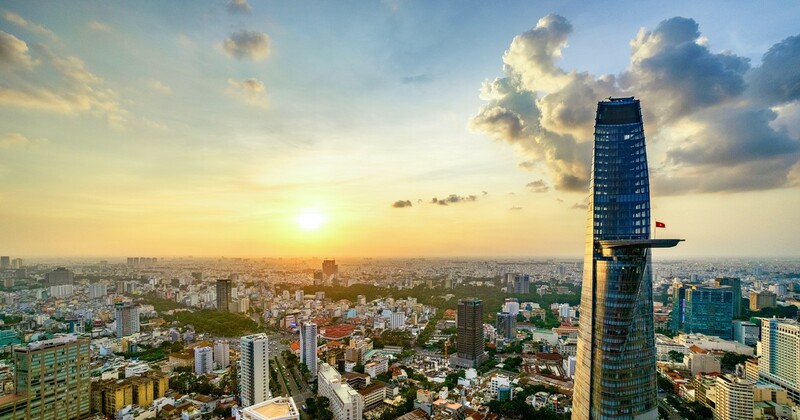 This is an industrial city and also the biggest city in Vietnam, so it will be easy for travelers to fly directly to Tan Son Nhat airport in Sai Gon. 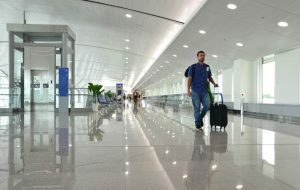 The Europe countries usually have transit time in Hong Kong or Dubai, then fly to Tan Son Nhat airport from there. 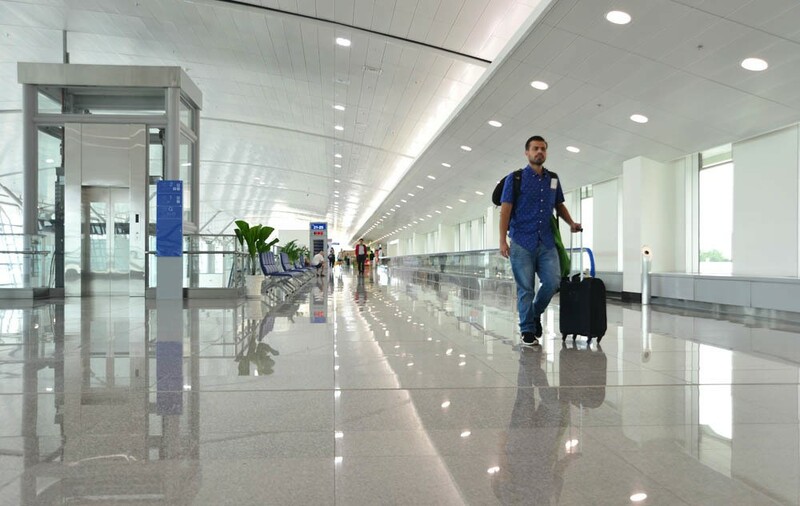 The Asian countries which are nearby Vietnam will easily arrive in Tan Son Nhat airport by direct flight. The climate in Sai Gon is around 25-35 Celsius degree in the whole year, it depends on the day time or night time. Sai Gon usually wakes up at 6AM, and it is getting darker around 6PM – this time would be warmer. At midday, the weather is a little hotter, it is around 30-35 Celsius degree, but it would be okay for those who are staying in temperate countries and want to change to get the warmer weather. 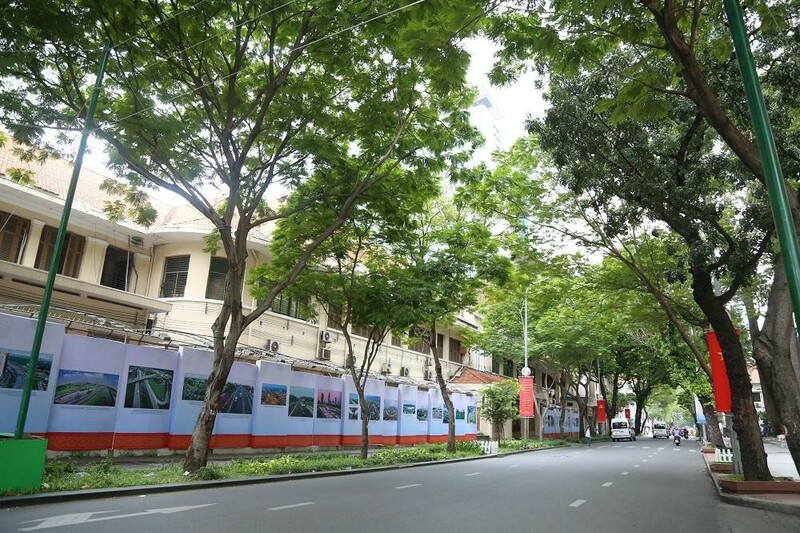 Therefore, whenever you visit Sai Gon, you will easily enjoy and explore its beauty on your own way. Because this is the city of motorcycle, so you can rent a motorbike and drive yourself to explore around the city. Motorbike for rent: 100.000 – 150.000 VND/day (4-7 USD/day). 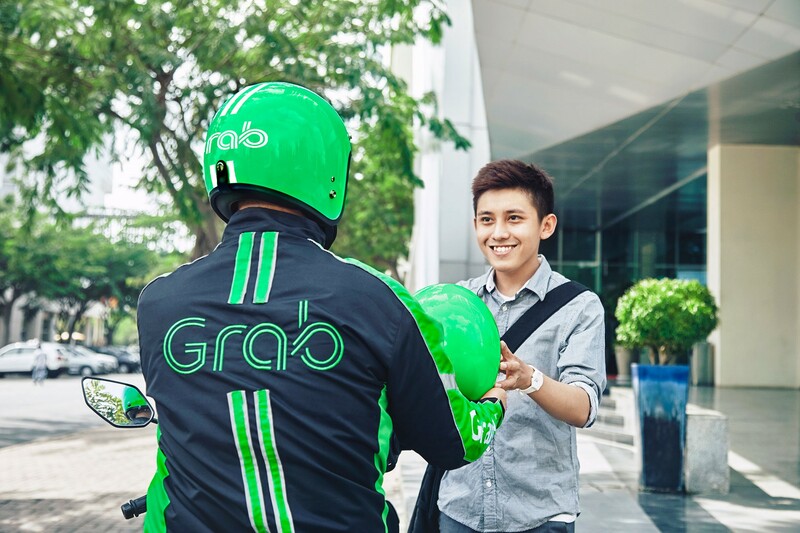 If not, grab bike is a great choice to visit anywhere you want with cheap price. 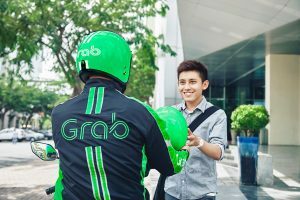 Grab car is also in your consideration to get out of sunshine in Sai Gon, or more convenient with a small group of friends. Another choice is Bus. You can get on the bus and go around the city with a small fee (about 5.000 – 10.000 VND/way (0.2 – 0.5 USD/way)). 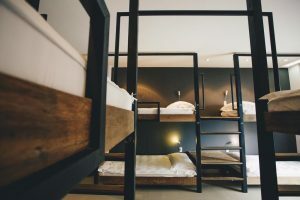 Only with 5-7 USD, you will easily have a dorm bed in the city central. And about 13 USD will be enough to have a normal private room. 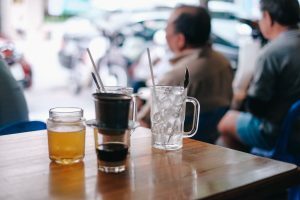 Additionally, you still have more expensive choices with more comfortable relaxation to enjoy the local life, local food and don’t need to be worry about the tourists. 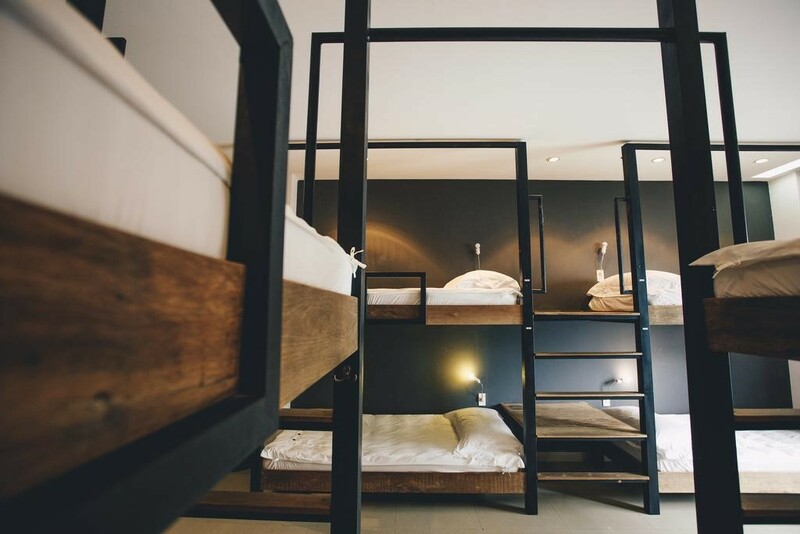 The price is still affordable with its service, around 20 – 50 USD to have a dorm bed or private room. The local people wake up in the early morning, they like to sit along the street coffee shop. 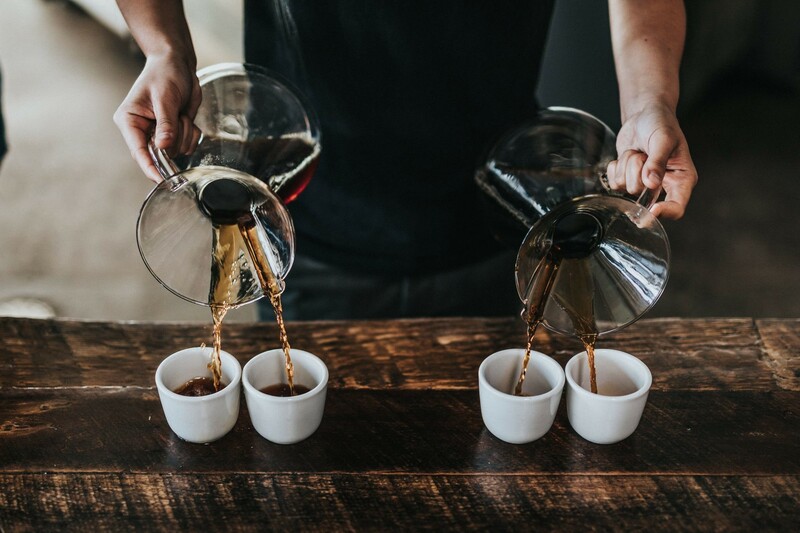 They spend their morning time on talking to each other, enjoy a cup of Vietnamese coffee and a loaf of bread. At times, the life is normal like that, then they start a new day as usual. Sai Gon is a city that never sleep. Until midnight, there are still some bustling streets such as Bui Vien walking street, Nguyen Hue walking street…Many people like to hang out and have some fun. 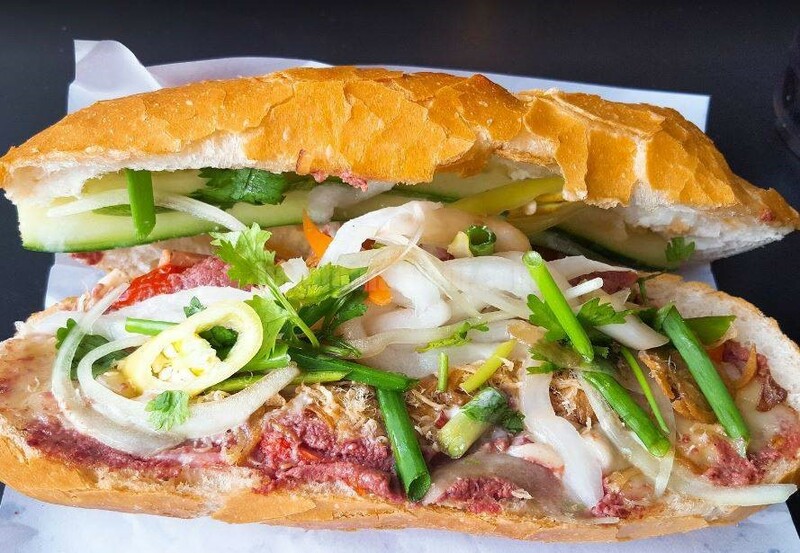 Especially, many good street foods will appear at this time, you don’t have to waste your time to choose the good one, just need to enjoy it. In Sai Gon, there are still many people who wake up early and start their new day. Sai Gon is busy in the whole day, but there is an amazing thing about the local people – they are really friendly, cute and generous whenever making new friends who come from somewhere far away. In the central, Sai Gon has everything. 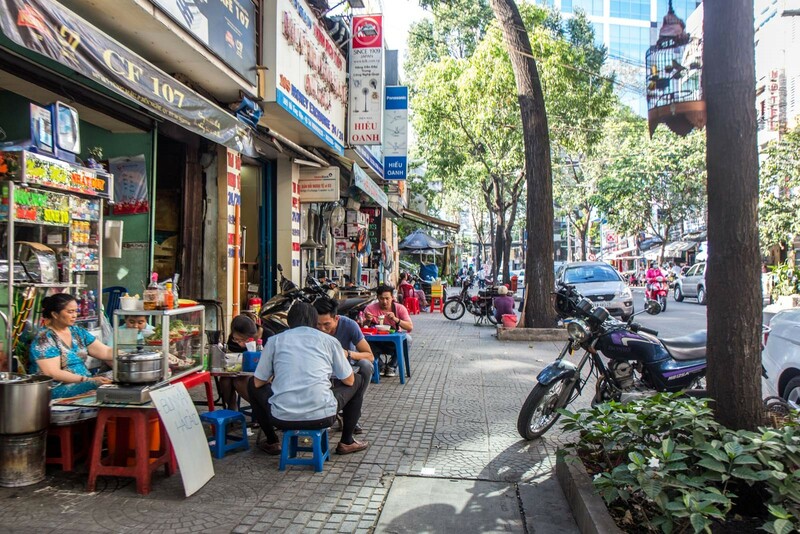 There are some bustling walking streets, some famous coffee branches in Vietnam, many restaurants with diversity of cuisine, many kinds of bar club. Especially, Sai Gon also has a street for party in the whole night with many crazy things. 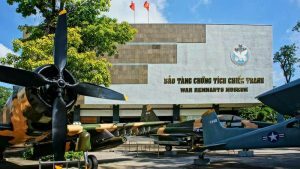 Additionally, there are also many touristic places that you can understand more about Sai Gon – how hard it has come across many French and American wars at the War Remnants Museum, how different it has changed from past to present. 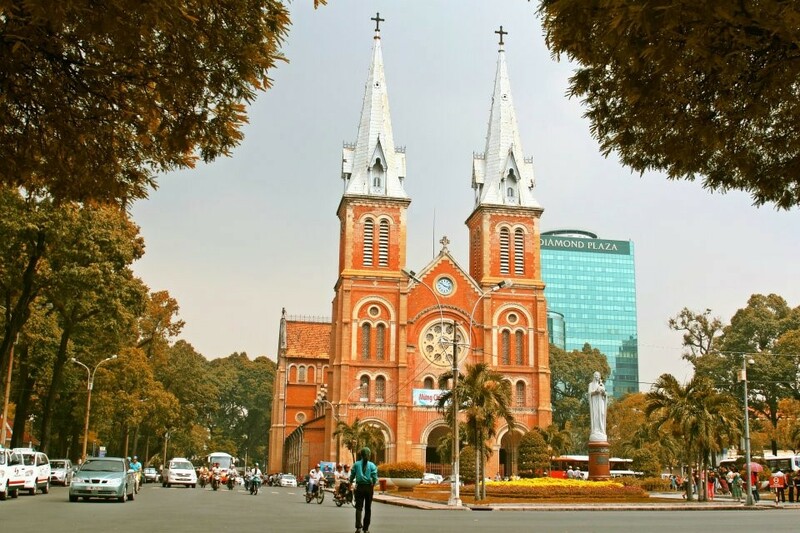 Sai Gon has been in many adversities, but that is not the reason which makes it poor of energy and enthusiasm – the friendliness of the local people makes every visitor memorable about this country. Cu Chi tunnel will take around 60km far from the central of Ho Chi Minh city. This is a historical place with a special story of Vietnamese people. They took their war underground and created meeting rooms, kitchens and triage areas to be active and ready for waging guerilla warfare on nearby American troops. In order to understand more about Vietnam’s history through the French and American wars, let’s come to War Remnants museum. You will know more how brave Vietnamese people can fight to have independent life. Originally, Ben Thanh market was established before French conquer Vietnam. 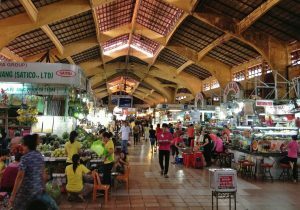 This market is a combination of many different foods from the south to the north, is the place where many visitors are attracted. Around 5PM, you can spend a little time on hanging out and staying here – Bitexco Tower. 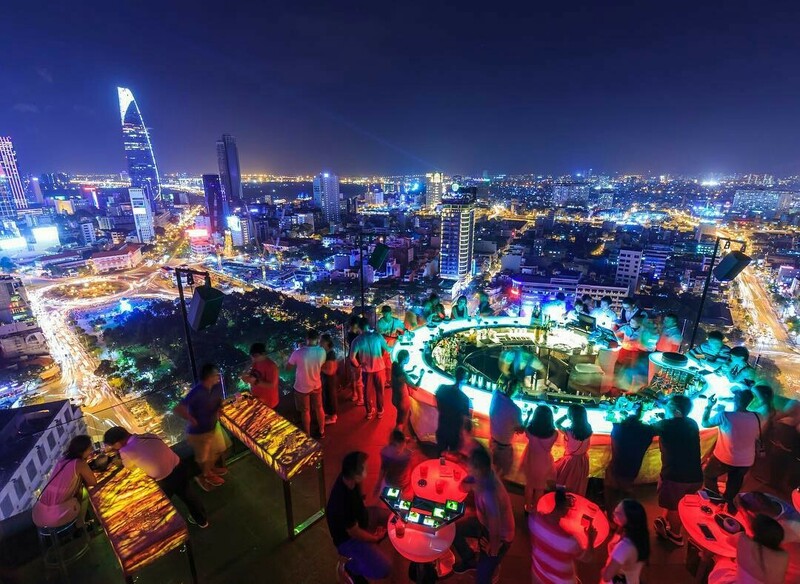 You can choose a good seat to see overview of Sai Gon, then have some drink, wine or beer to see the sunset, see how busy the people finish their day and enjoy how peaceful, serene in mind. This will be definitely one of your great and unforgettable memories in the busiest and most bustling city in Vietnam. If you can, don’t miss to walk along many small alleys in Sai Gon. It would be probably crazy when you try to find out the way out of them, it will make you confused and take you to another main street without any expectation. At times, google map is quite useless and because of the alley’s complication. Therefore, you will feel clearly about the local life with many different perspectives. In Sai Gon – the central of the “S” shaped country, you will easily explore and enjoy the cuisine from the south to the north, and many local foods in Sai Gon as well. 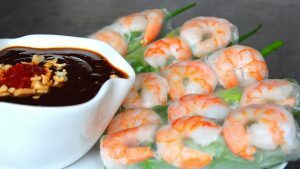 You will be diving in the cuisine world with super cheap price. Many people usually compare how cheap the food is: only 1 USD, you have 1 special bowl of beef noodle right away. The food in Sai Gon is so tasty and delicious. Pho – beef noodle soup is a traditional food in Vietnam. 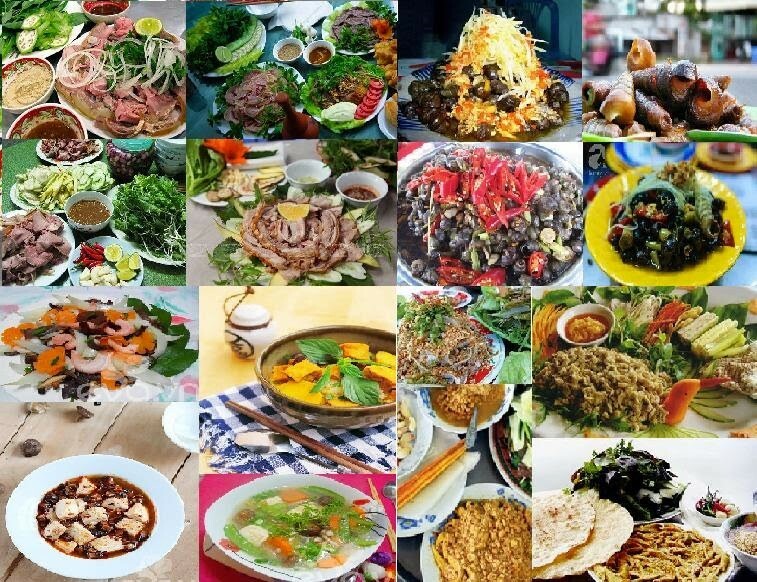 The taste of this food is an amazing thing that you should experience when you visit Vietnam. 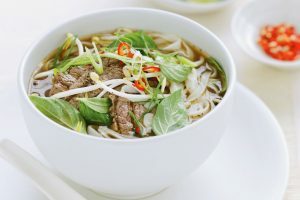 This is a kind of beef noodle in Hue – a province in the middle of Vietnam. It is so tasty, spicy and delicious. 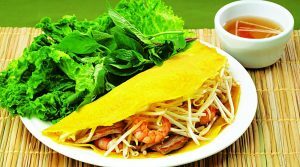 This kind of food has become much more popular in Sai Gon. This pancake is so tasty, crunchy and healthy because of many vegetables. 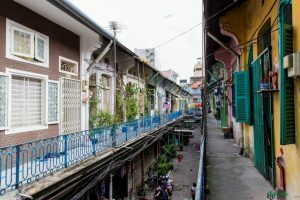 It is famous in Mekong Delta, the middle or even the North, so in Sai Gon – it is really optional to choose the good one, or you can try all. 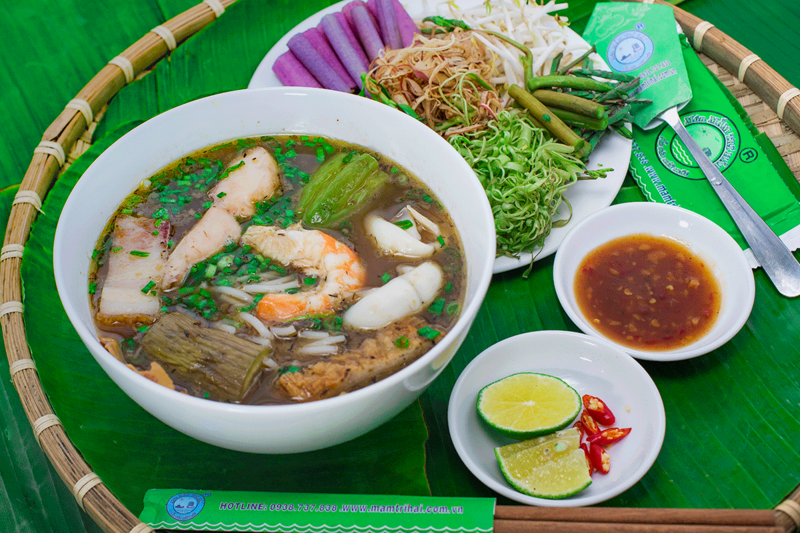 This kind of food will make every traveler unforgettable about the local food in Sai Gon. There is some noodle, shrimp, pork and vegetable inside. Especially, some local fish sauce is a very great combination with this food. This is one of the signature dishes of Vietnamese cuisine. Some local fish sauce will make it tastier. 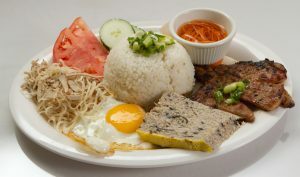 It is not only for breakfast; people eat anytime in the whole day. 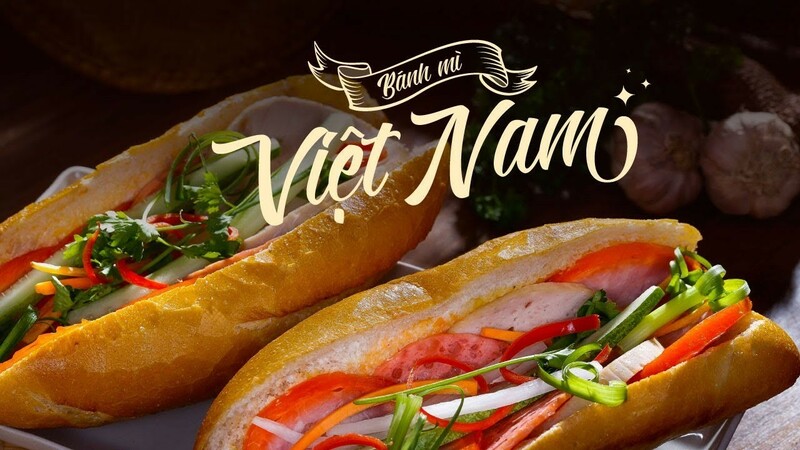 This food is a kind of bread and a common one in Vietnam. People eat Banh Mi anytime in the whole day. It is made with chicken, pork and full of pickled vegetables. Many visitors came here, some of them didn’t like the bustling or busy life of Sai Gon, but some of them also found out something to love, to enjoy, to adapt to the city of diverse cuisine, cultures, friendly people – Sai Gon is probably is a generous place to welcome everyone in the world, even just visit or stay here longer to be a local. Hope you will have a great and enjoyable time in Sai Gon.